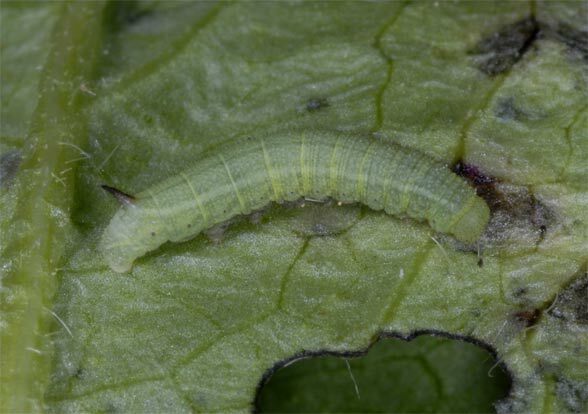 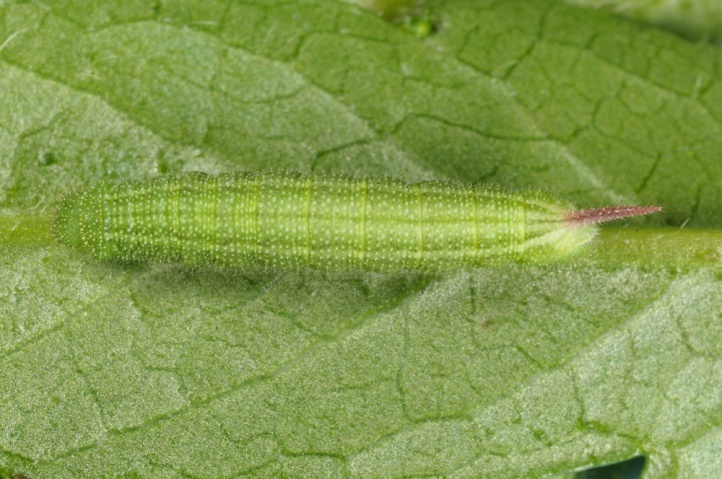 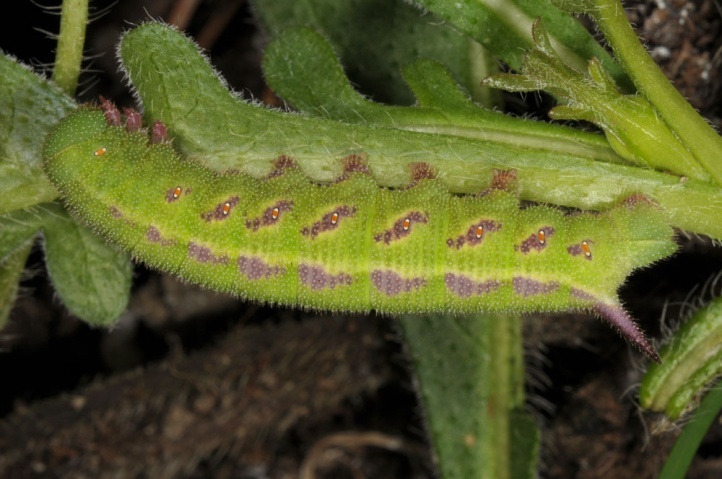 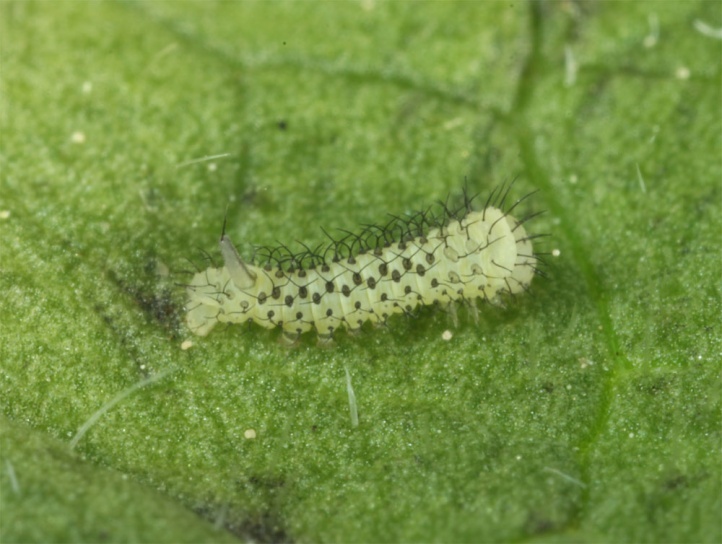 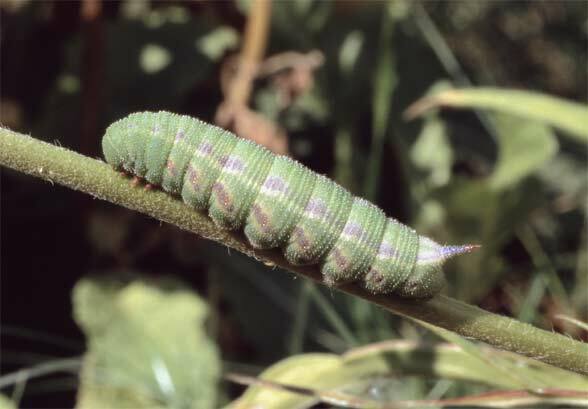 The larva feeds on Dipsacaceae such as Knautia arvensis in lower altitudes and Scabiosa lucida in the Alps. 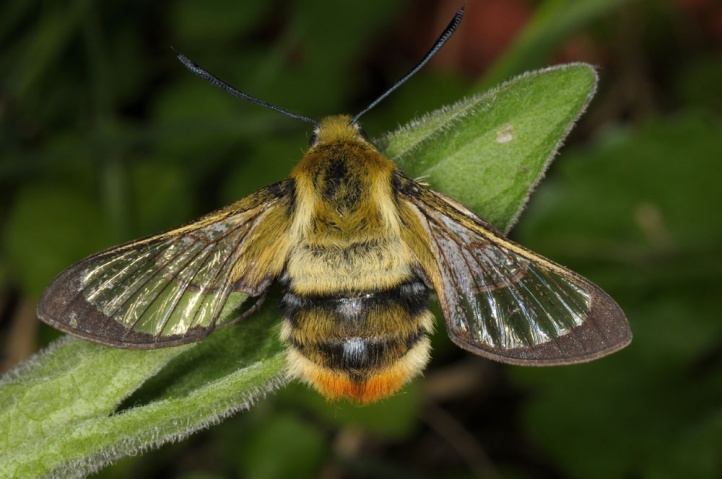 Hemaris tityus often colonizes rupicolous, nutrient-poor meadows with sufficient size, preferably along forest edges. 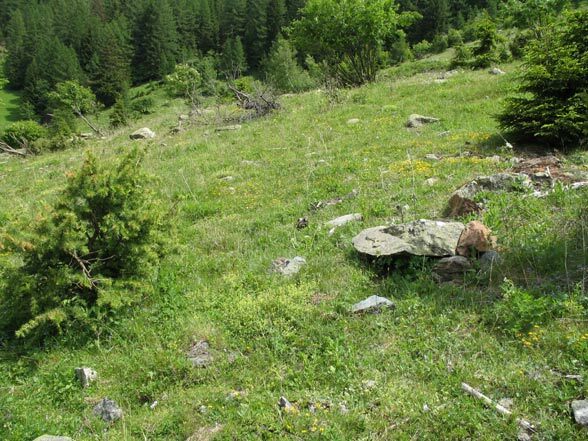 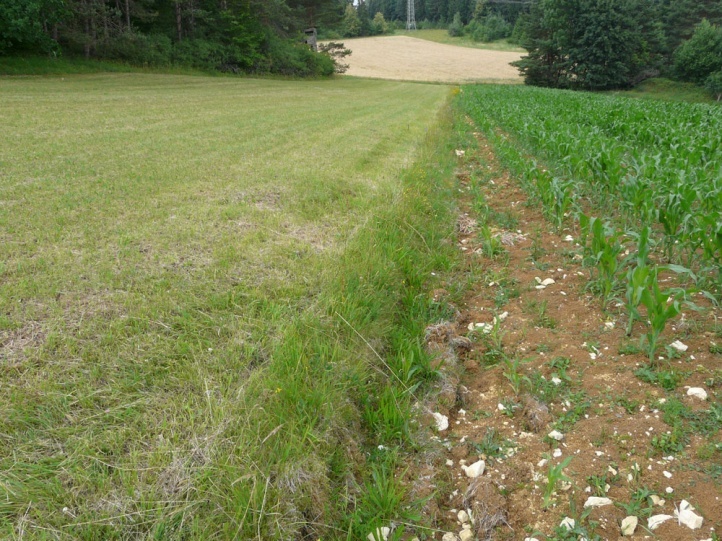 In the Alps it often occurs on gappy, stony and eroded slopes near forests. 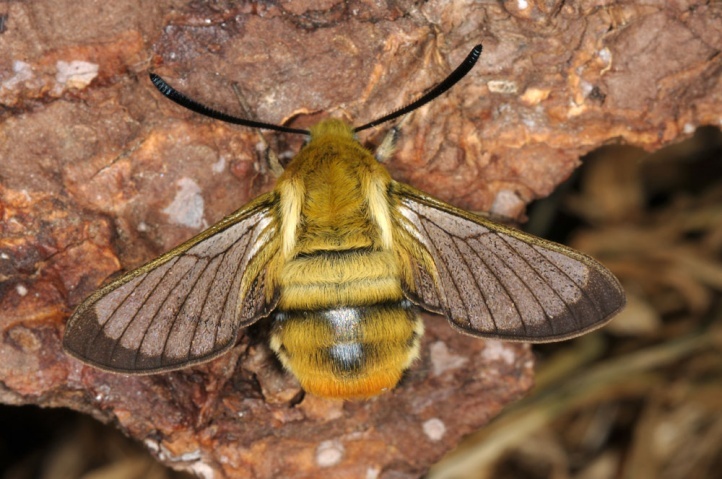 Locally Hemaris tityus can be observed in calcareous fens with Succisa pratensis. 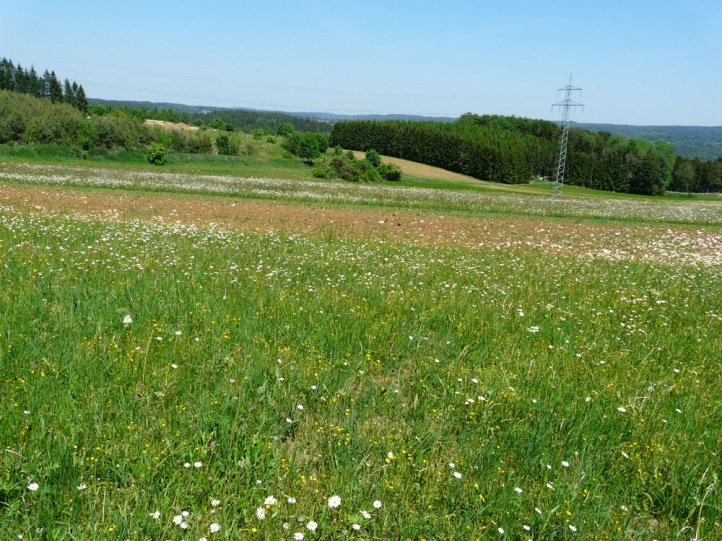 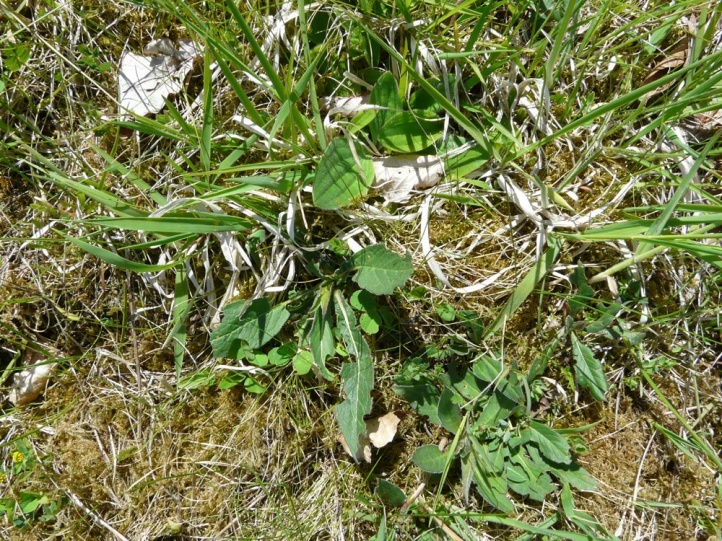 On the western Swabian Alb (Germany) I observed adults, caterpillars and eggs in and especially on the margins of calcareous grassland, often near the forest. 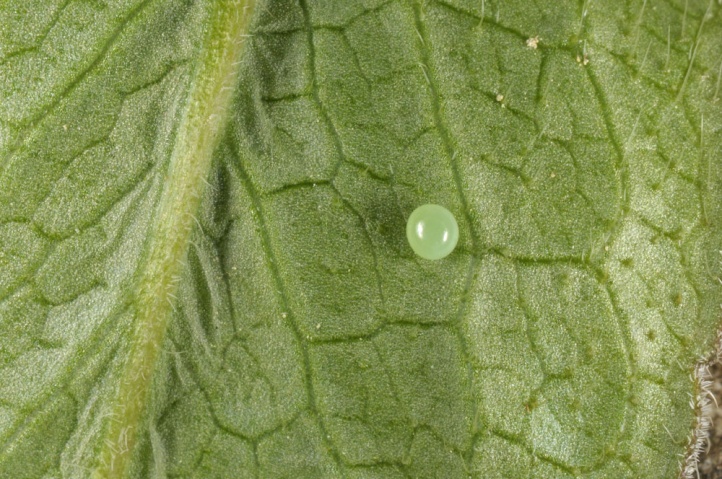 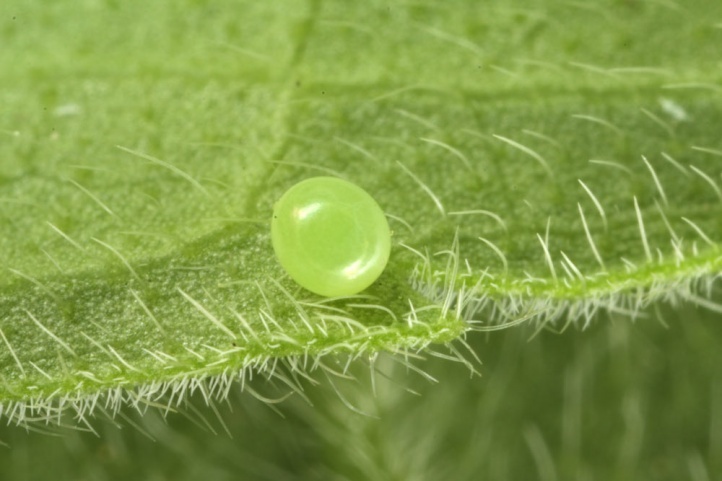 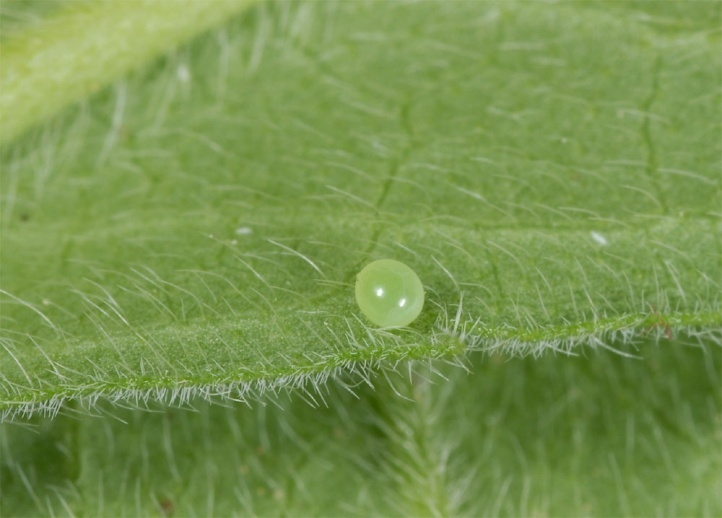 The eggs were deposited on the edge of the areas in the transition region to stony calcareous fields or at gappy, moss-rich places. 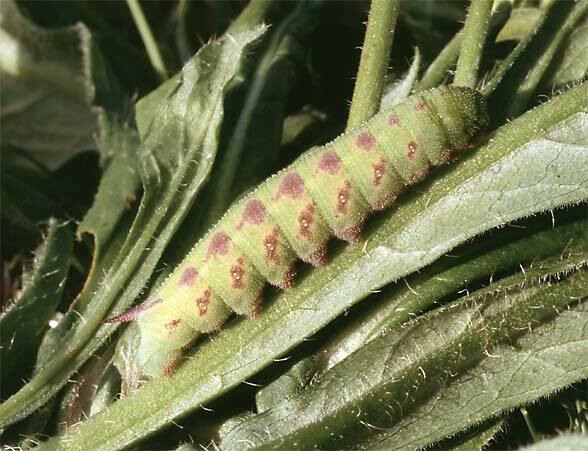 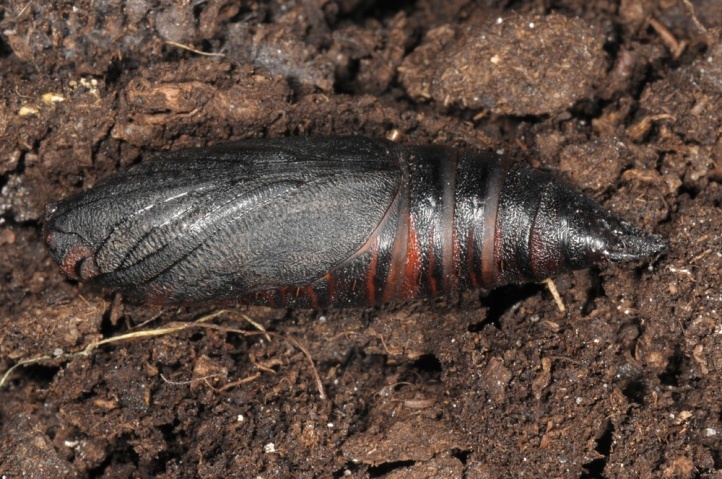 Hemaris tityus hibernates in the pupal stage as all of the native Spingidae of Central Europe (but see Macroglossum stellatarum). 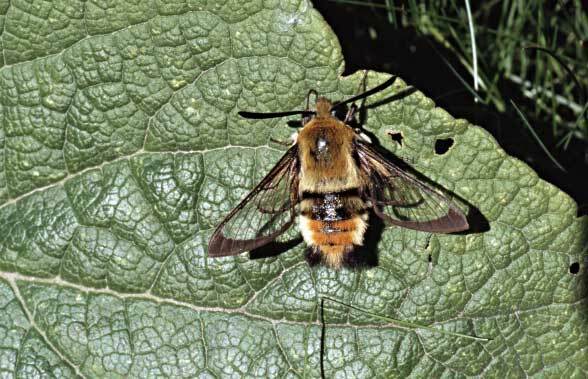 The moth often has a very partial second generation in the lowlands in August. 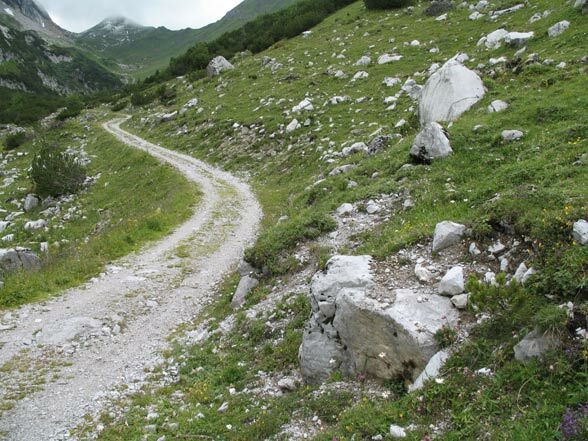 Otherwise, the flight time is from May to early August (in the mountains). 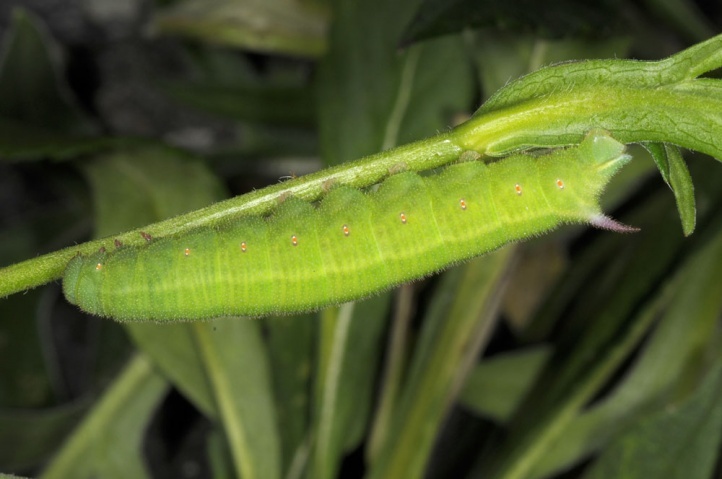 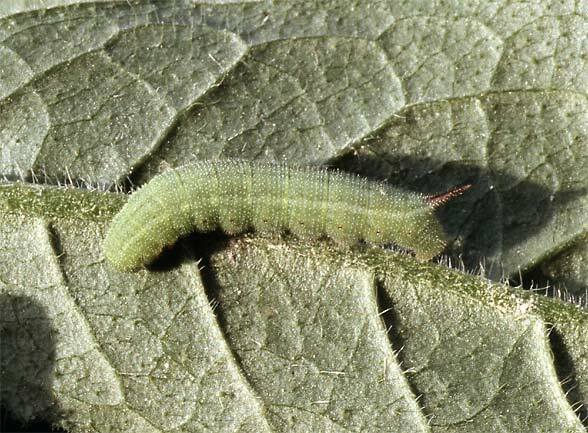 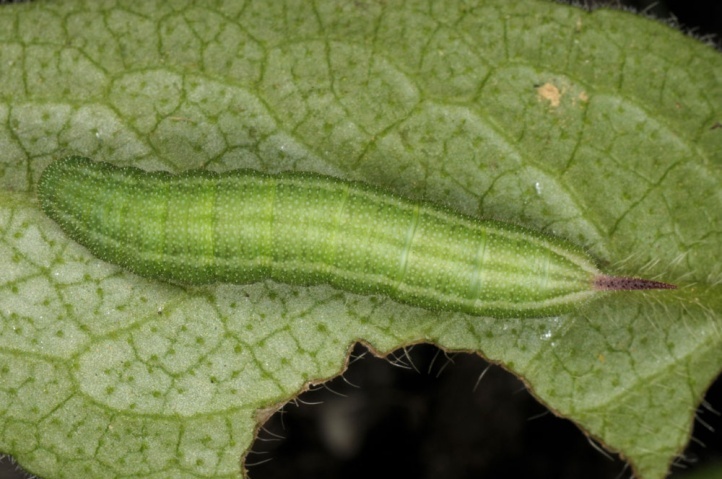 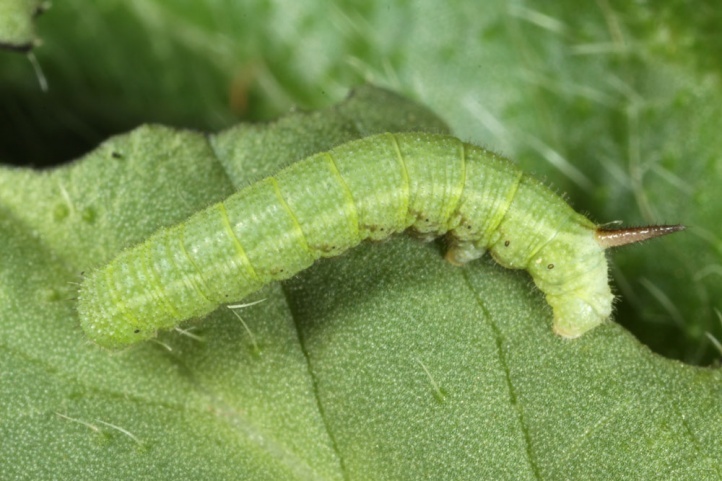 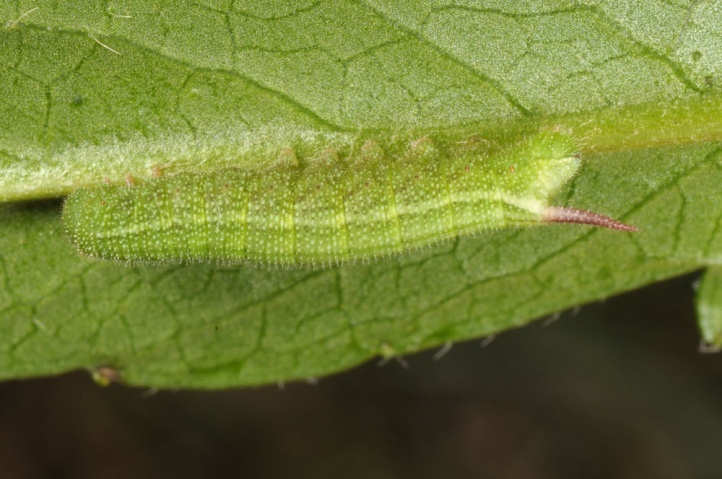 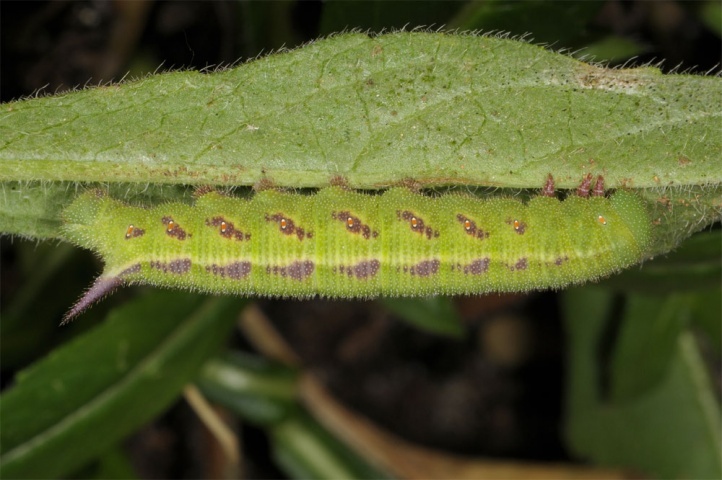 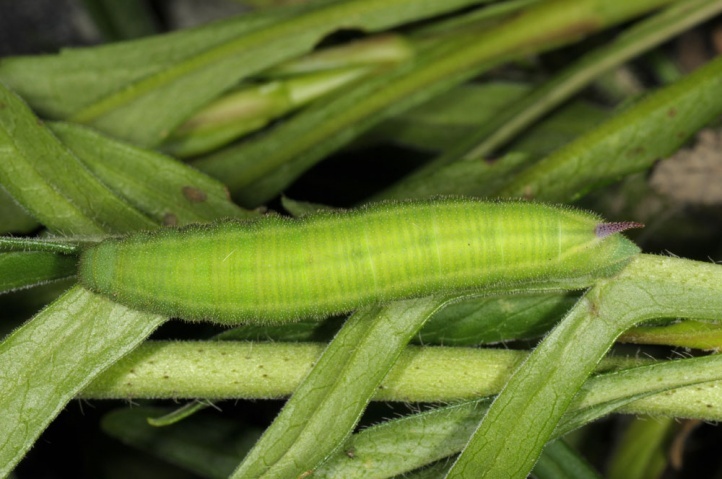 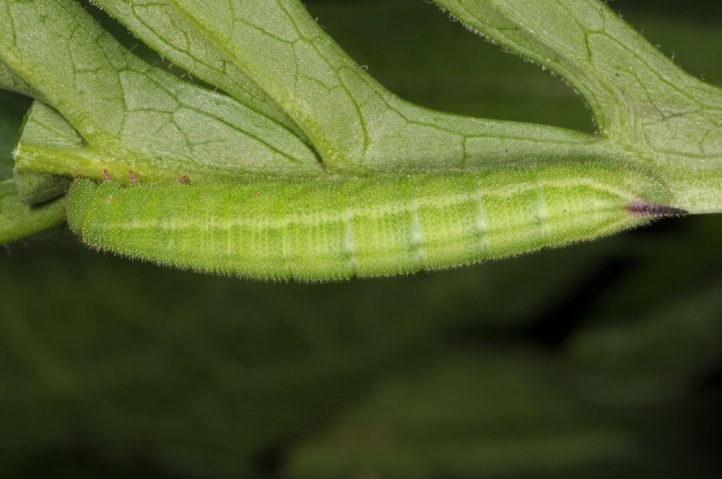 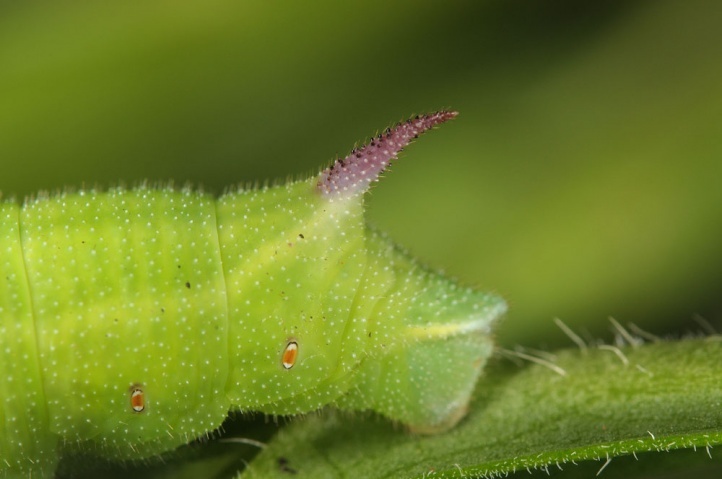 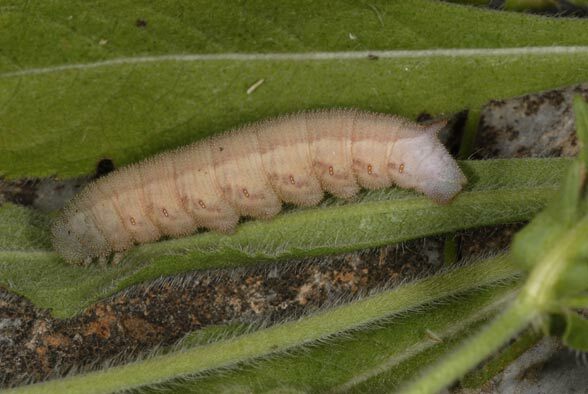 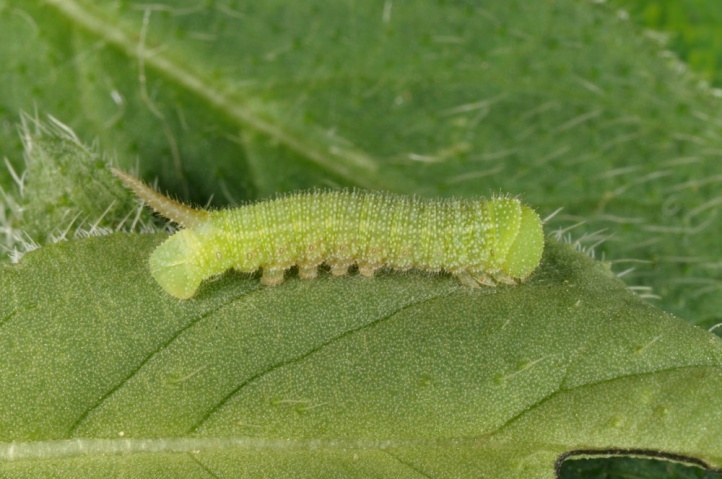 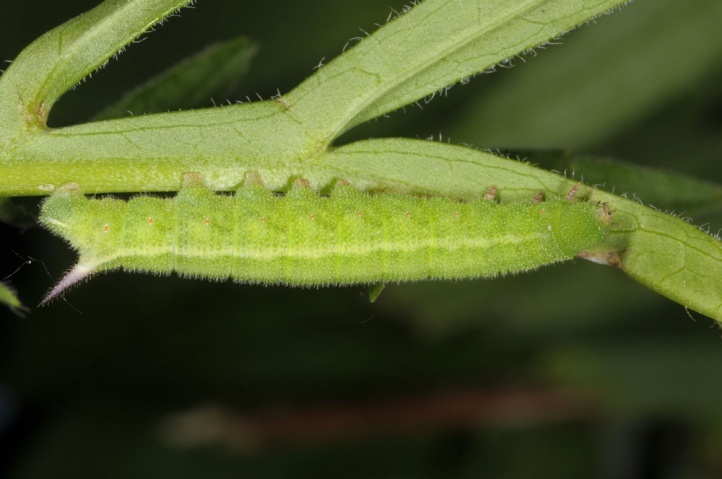 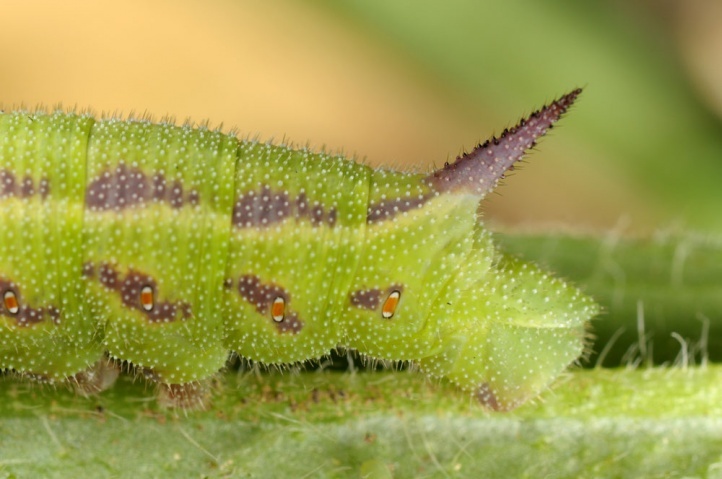 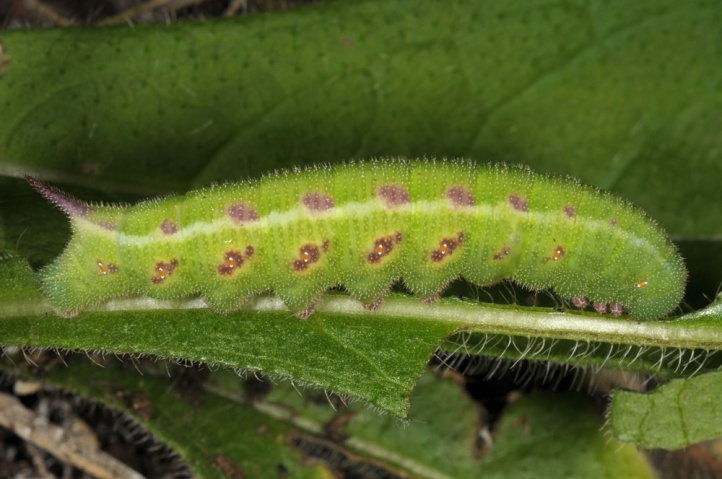 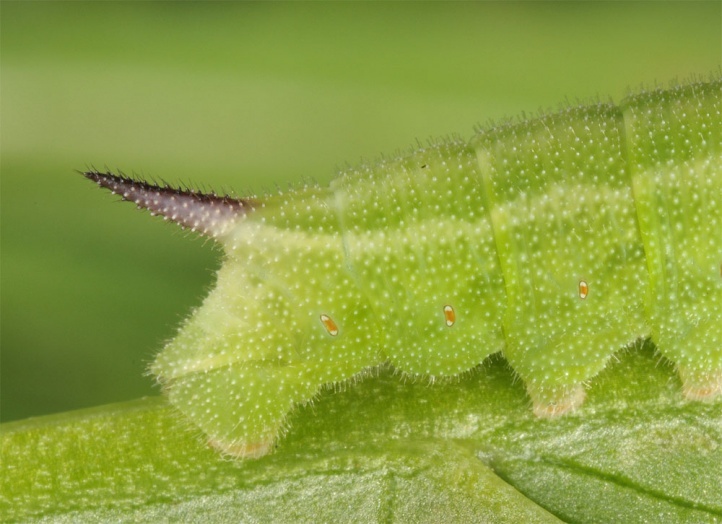 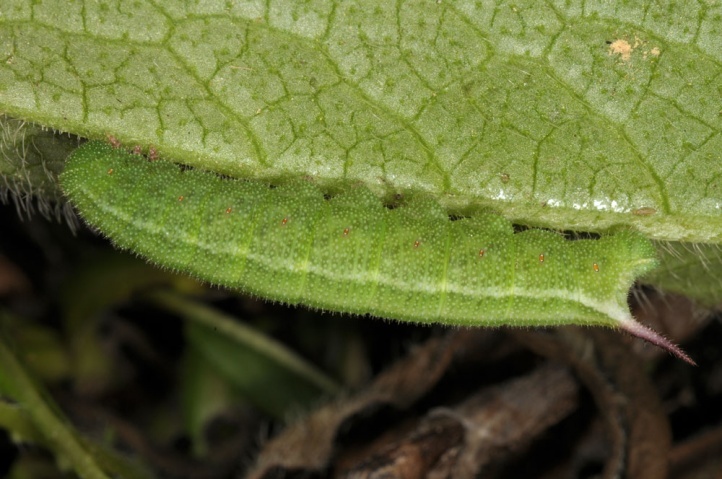 Caterpillars are found from June to early October with maximum in June/July. 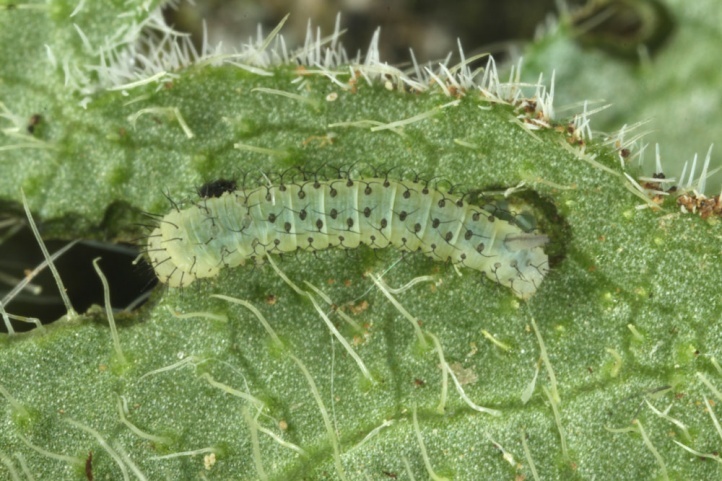 In the Austrian Rätikon I observed caterpillars at all stages on Scabiosa lucida in about 1700-1800m above sea level in August. 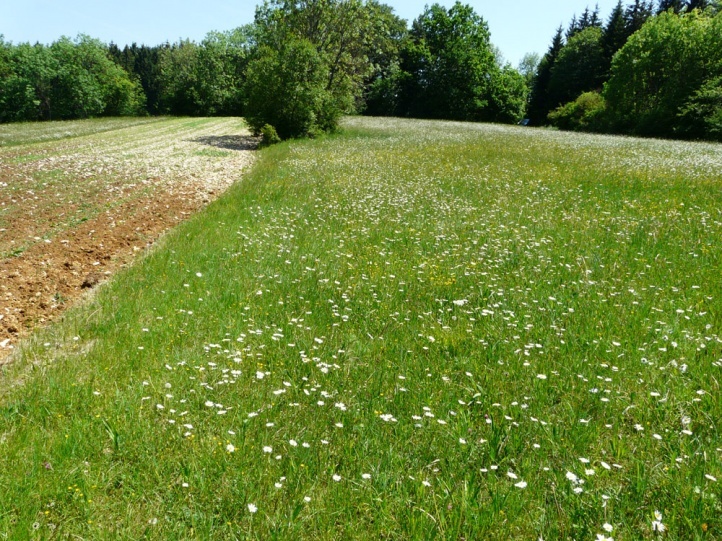 In the lowlands this rather demanding species is endangered by the decline of nutrient-poor grasslands (intensification, fragmentation, afforestation, overbuilding) and because of overgrowth of the habitats (succession after abandonment of extensive grazing/mowing). 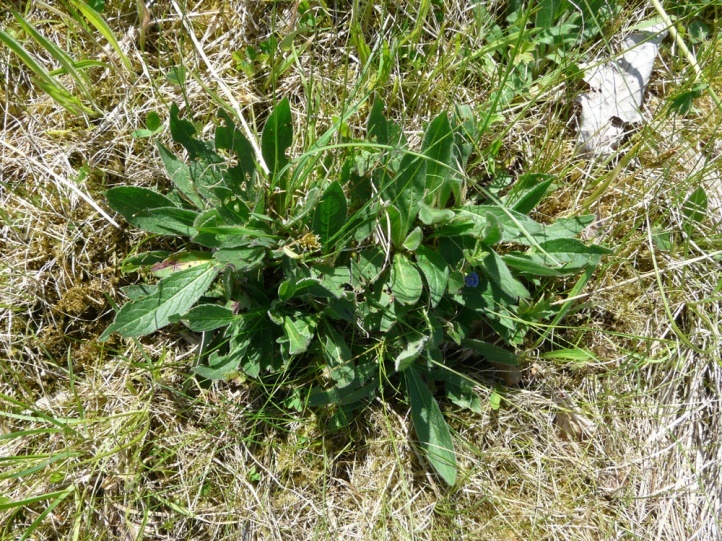 For example, this species has completely disappeared from the Iller Valley in Southern Germany due to the destruction of all nutrient-poor grasslands in the context of the former Iller floodplain woodland. 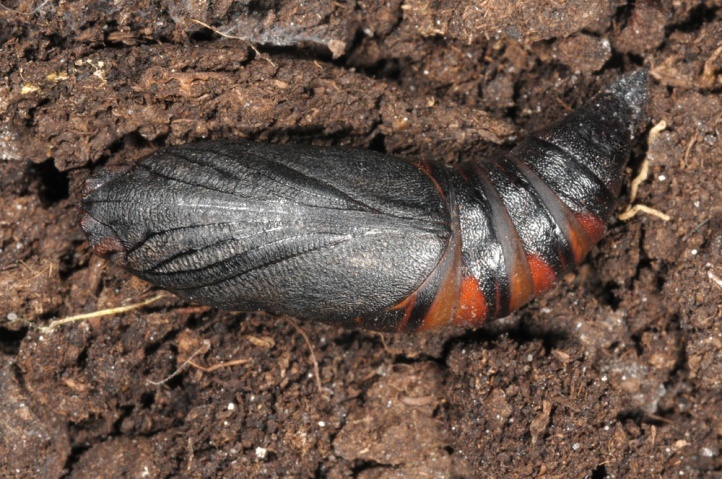 Oviposition takes place only in at that time low growing areas. 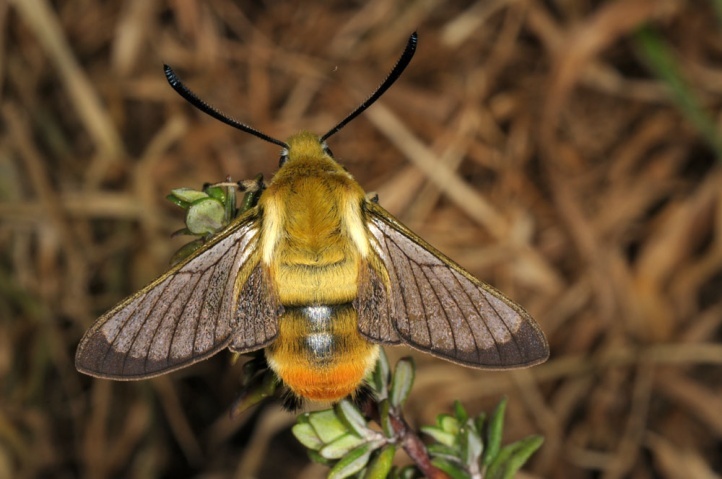 Only locally Hemaris tityus can be still observed more frequently. 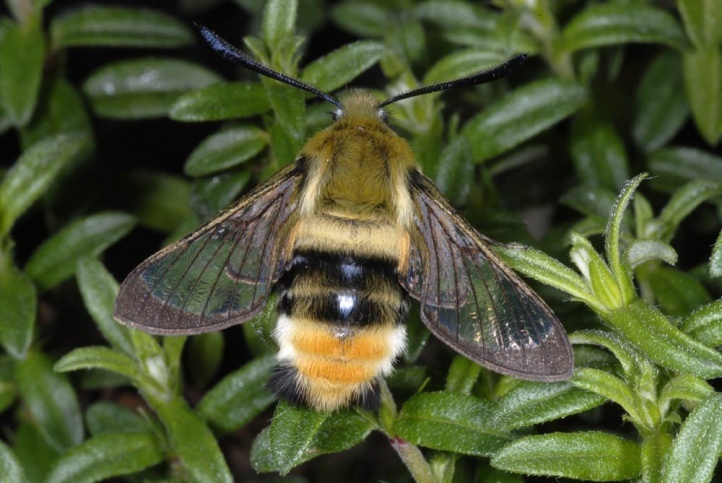 In the Alps it is nearly exterminated in most of the valleys, but is less endangered at higher altitudes. 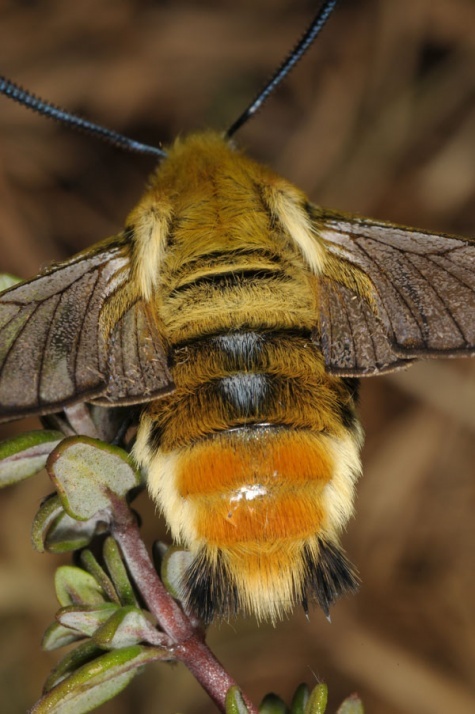 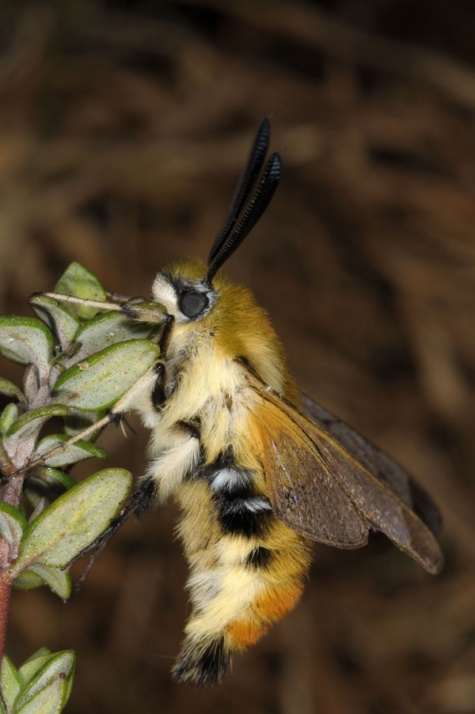 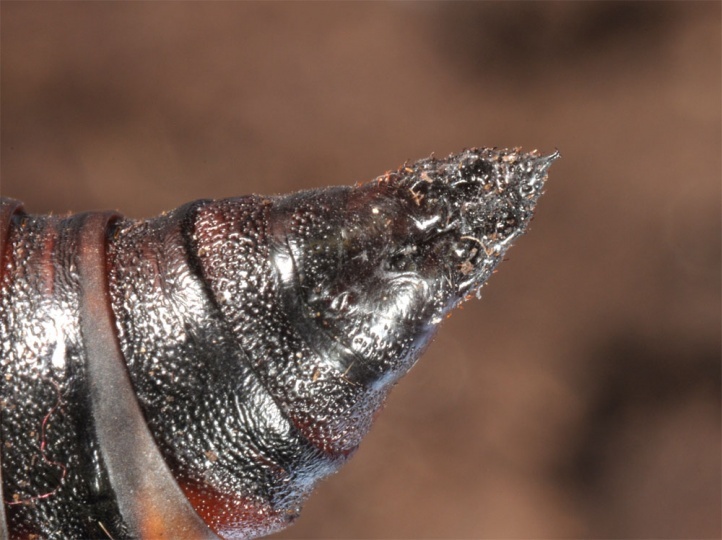 With the first flights the adults lose their scales in certain areas of the wing as the related H. fuciformis and are then not unlike bumblebees because of their diurnal activity. 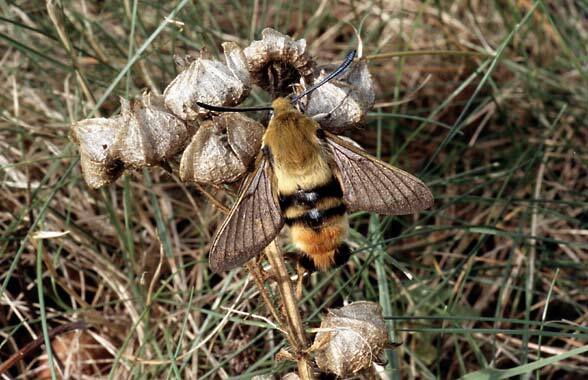 But they never sit down on the nectar plants, but are buzzing like a hummingbirds. 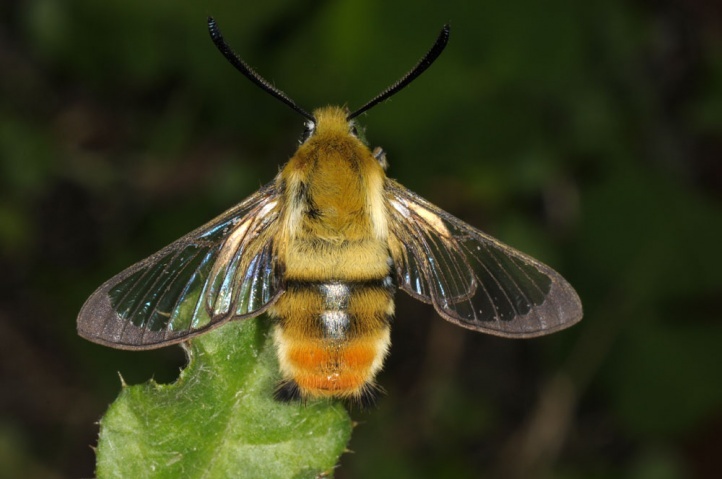 The distribution of Hemaris tityus extends from Northwest Africa across large parts of Europe (excluding Northern Scandinavia) to China. 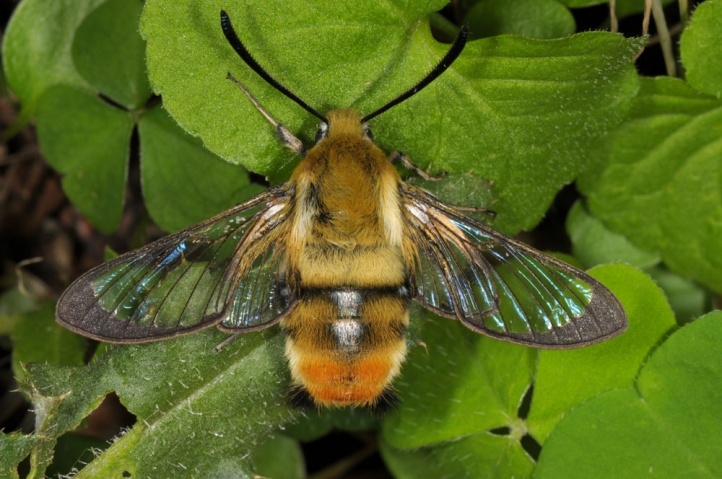 North of the Alps, Hemaris tityus has been extirpated in many areas (habitat loss).